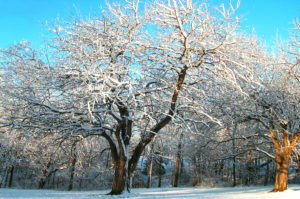 Winter offers a chance to appreciate a tree’s artistic structure. 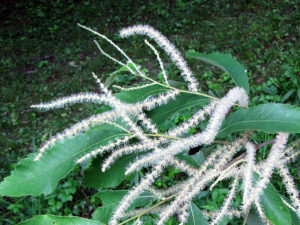 The endangered Ozark chinkapin in flower. 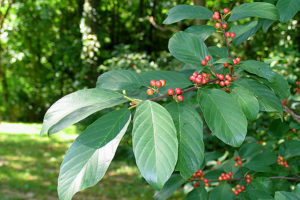 Yes, a buckthorn, but a native one– Carolina coffeeberry. Fall color on full display. 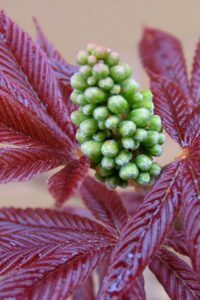 The dwarf, shrubby form of Ohio Buckeye. 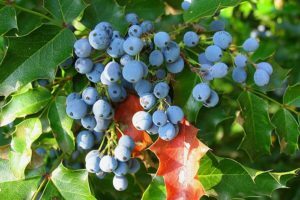 Oregon grape holly, a west coast native evergreen shrub that seems right at home in the Midwest. 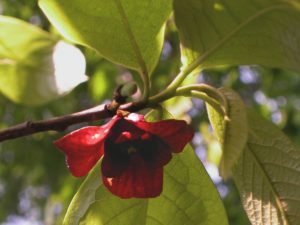 The often overlooked pawpaw flower. 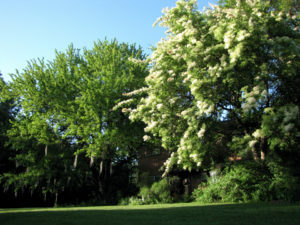 A Peking lilac with lovely form, grown from seed several decades ago. 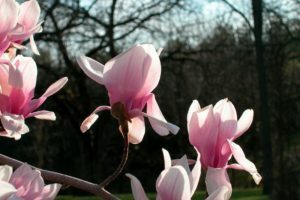 One of the many magnolias in our collection. While the oak genus Quercus is our primary specialty, we try to grow examples of any woody plant that is not overly aggressive or invasive and yet, for the most part, can survive here without too much attention. 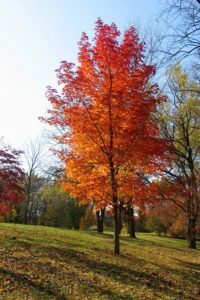 The oaks taught us to feature genera such as hickories, walnuts, ironwoods, hawthorns, Osage-orange, and others that match our growing conditions. They are supplemented by lesser numbers of more sensitive or tender species from as many parts of the tree kingdom as possible. In all we grow around 2500 accessioned woody plants representing our share of the more than 60,000 different tree species found worldwide. Virtually every tree species native to Illinois (such as all 21 of the oaks and all 10 of the hickories) is included along with more than 700 other woody taxa. This diversity offers considerable seasonal attributes beneficial for photographers, wildlife, and anyone who would like to learn about both common and extremely unusual woody plants. See a list of our accessions here.